Chances are that you have never heard of Hosung Choi before. 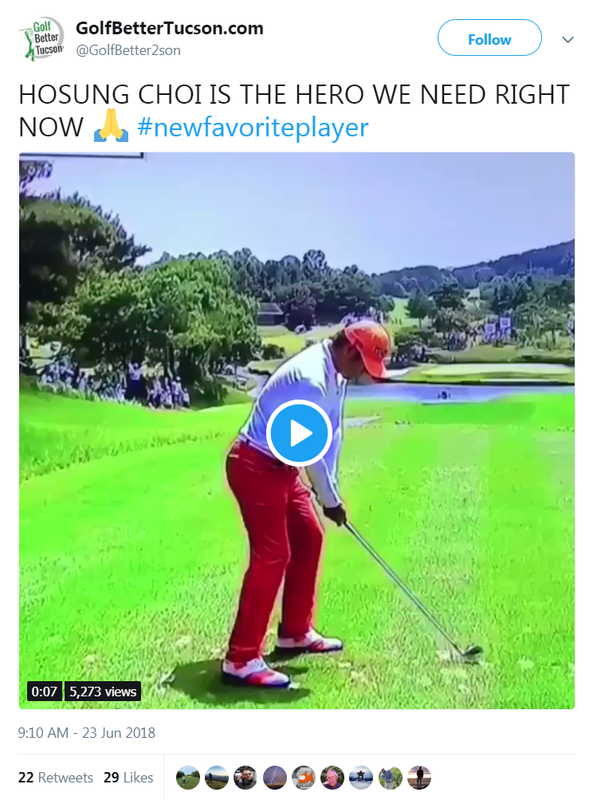 The South Korean has spent most of his journeyman career competing on a number of Asian golf circuits, including the Japan Golf Tour, the Korean Tour and the OneAsia Tour, and has never played a single event on the PGA Tour before. 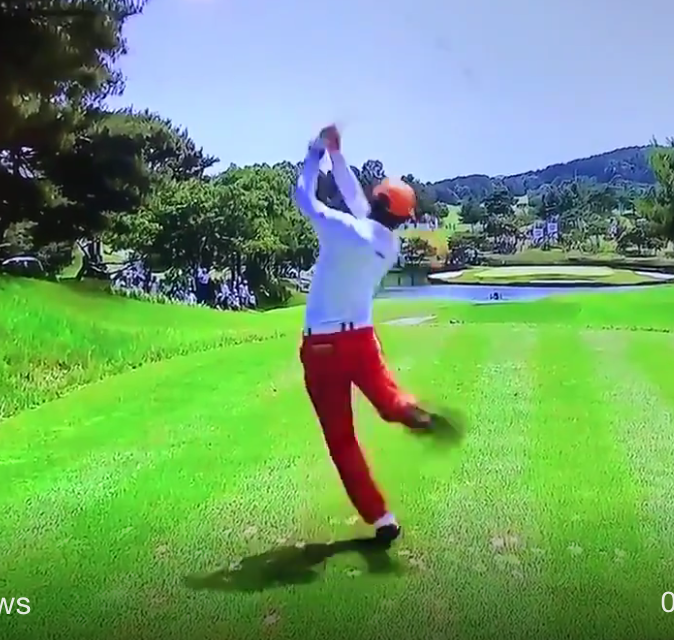 And yet, Choi was nonetheless trending virally two weeks ago at the Korea Open when the golf world first discovered — and immediately fell in love with — the 44-year-old’s erratic swing and follow-through. 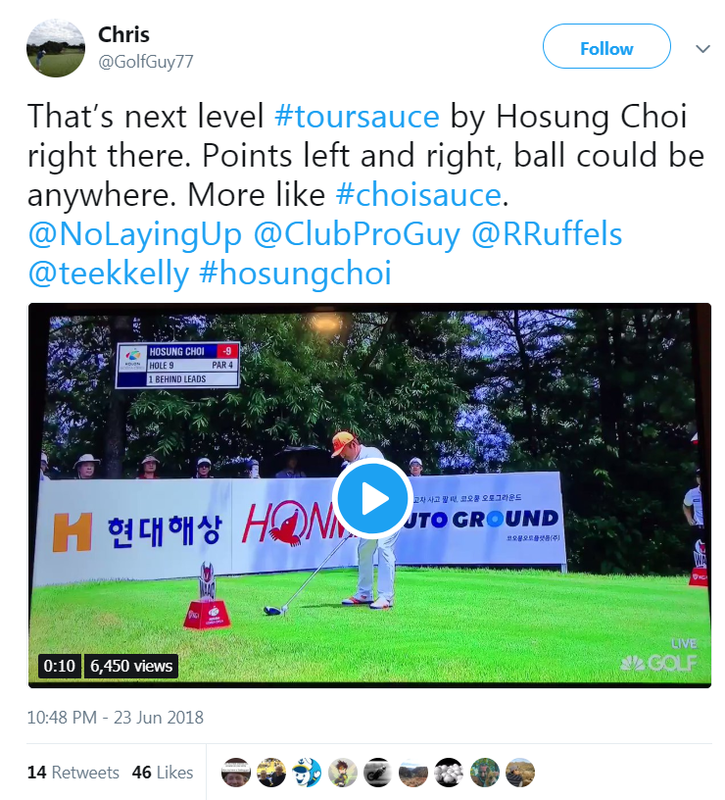 As you can see in the above videos, Choi actually played extremely well in that tournament and finished in a tie for fifth overall thanks to some clutch putting. And the South Korean celebrated each birdie putt with epic fist pumps and waves to the gallery, as if they were the firsts of his career. 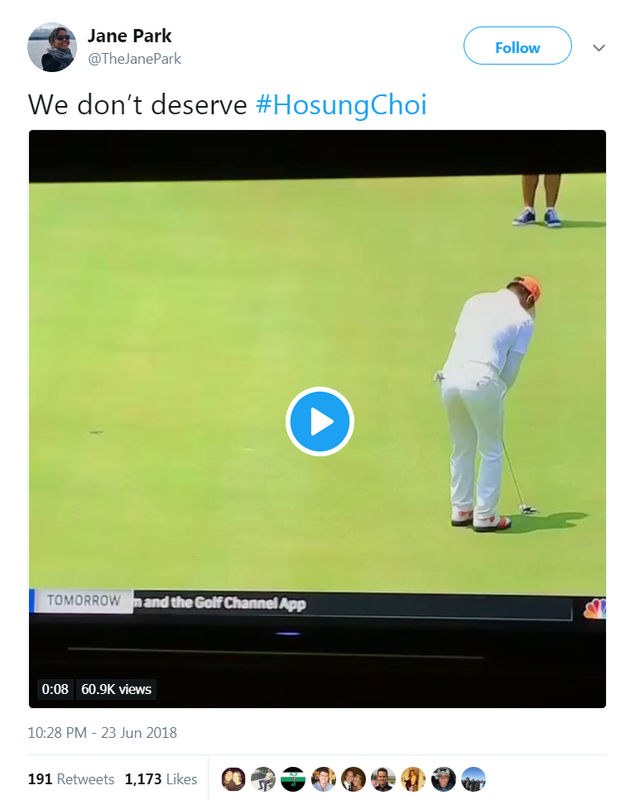 Hopefully, these videos make the rounds, and a PGA Tour sponsorship exemption is extended Choi’s way soon. 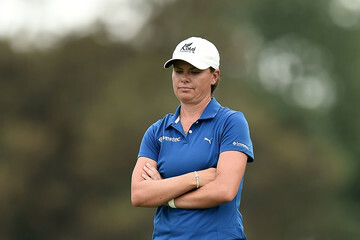 South Africa’s Lee-Anne Pace voluntarily withdrew from the KPMG Women’s PGA Championship in the middle of her second round on Friday after realizing that she had been playing with a damaged club. 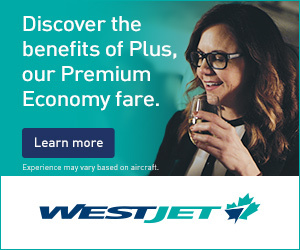 Pace, who has not won on the LPGA Tour since 2014, smashed her sand wedge into the ground on the 8th hole after hitting a particularly poor approach shot, and, in the process, damaged the hosel on the golf club. Pace did not notice the damage at the time, and continued to use it for the next five holes. But on the 14th hole, Pace hit a rather clunky shot with the wedge, and only then noticed, upon examining the clubface, that the hosel had been damaged. The 37-year-old called in a nearby rules official, who notified Pace that she had likely breached Rule 4-3b, which states that any player who continues to use a club that has been damaged in an unnatural way during the course of a round is to be disqualified. The official reportedly told Pace that she should finish her round, and that the rules committee would review the tape that evening and make a subsequent ruling. However, Pace saw the writing on the wall and opted to not stick around for the decision by withdrawing on the spot. Skratch TV pranked several fans and volunteers at the Quicken Loans National last week by sending one of its video hosts into the gallery disguised as Rickie Fowler’s caddie to cause some shenanigans. Over the course of the three minute-video, the caddie runs through a crowd of people asking if they have seen Rickie, asks some fans to explain to him how to read a yardage book, and leads a group of volunteers onto a tee box on their hands and knees in search of Fowler’s non-existent contact lens! 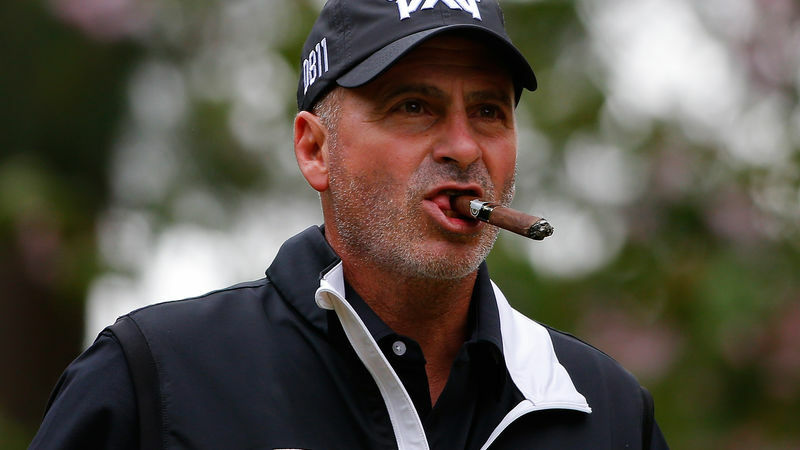 Mediate hasn’t qualified for a U.S. Open since 2010, but that didn’t stop him from lambasting anyone who complained about the setup at Shinnecock Hills a few weeks ago. “What I heard that week made me want to throw up, basically. Just shut up and play!” Mediate told reporters after his first round at the U.S. Senior Open on Thursday. “They’re talking about, well, you just shot 10 feet right of the pin, [and it] rolled into a bunker. Hit it left of the pin then, OK, because everybody’s got to play the golf course. 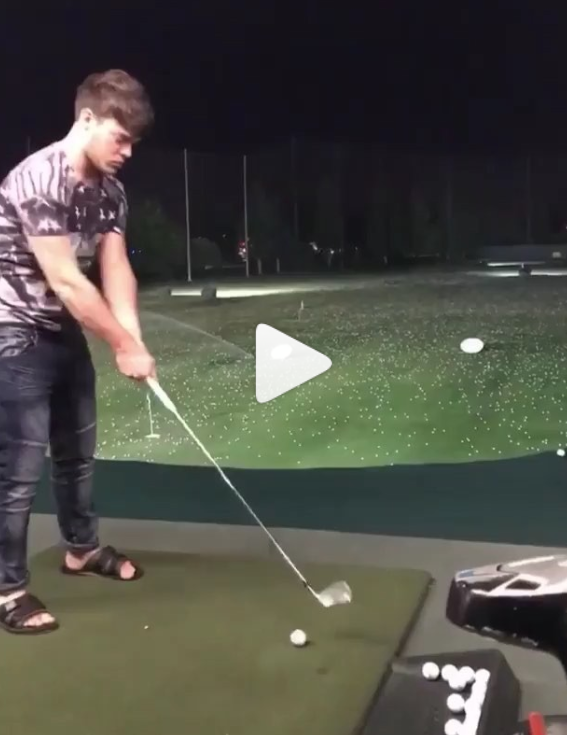 If you don’t like how it was set up, A) Hit better shots; or B) Don’t come. Someone will take your place. It’s real, real simple.” We have to admit that Mediate makes a pretty convincing argument here. Perhaps the Golf Channel should consider giving him some television time by throwing him into the mix with Brandel Chamblee and company. Think you’ve got wind issues? 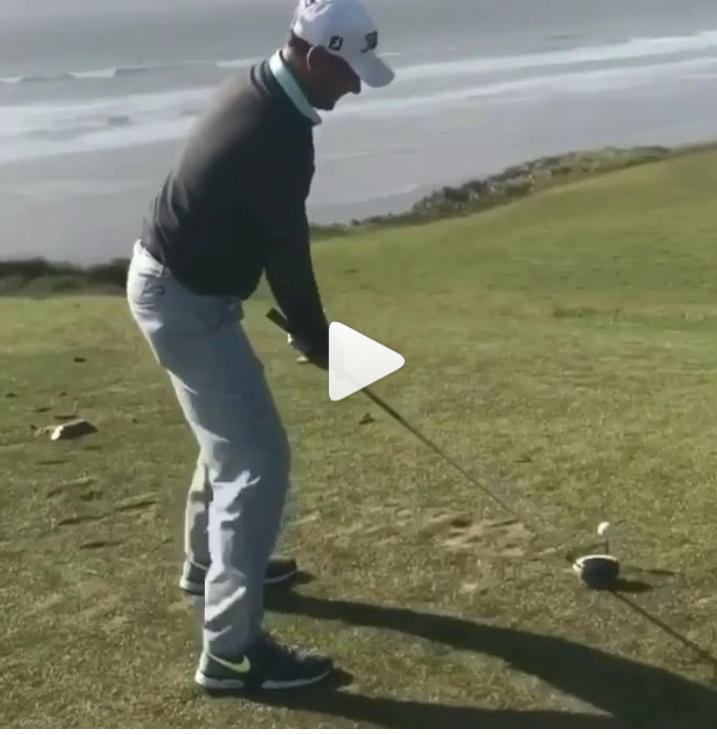 This guy, who hit a driver on a 131-yard par 3 and aimed directly into the ocean, laughs at your two-club wind gusts. What an incredible shot! Hopefully, he made that putt.